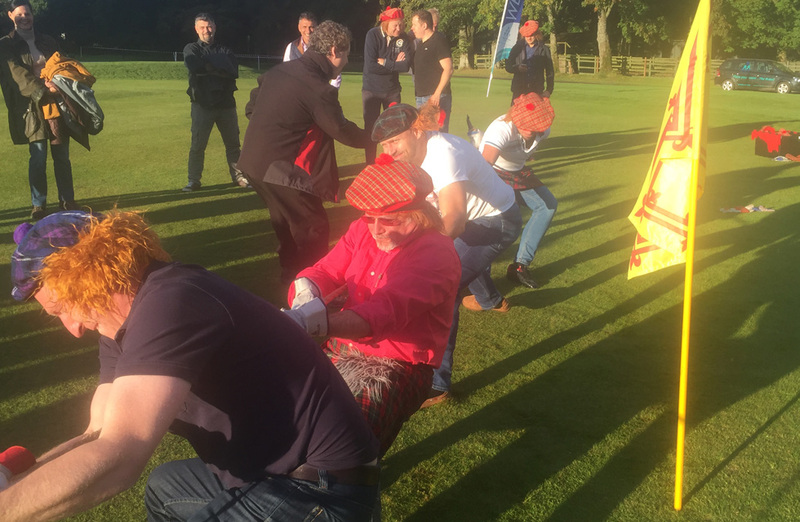 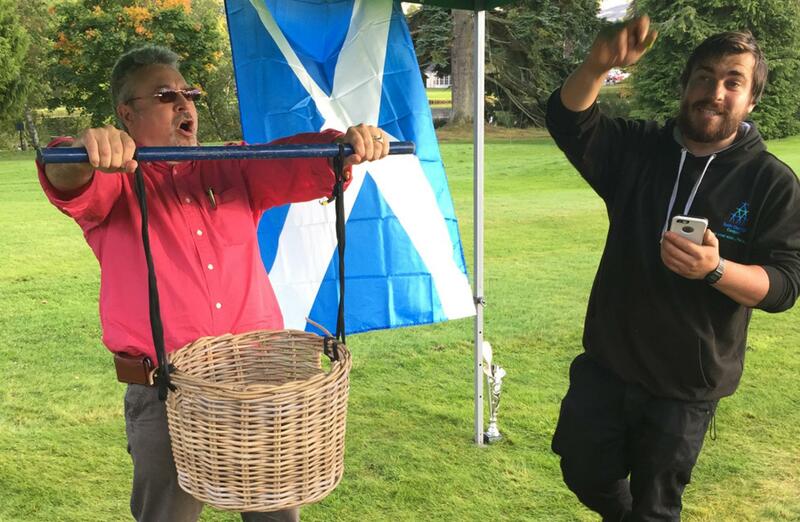 The sun was at last shining and welcoming our globetrotting guests to the stunning Gleneagles Hotel and Resort for a wild afternoon of truly Scottish fun in the form of our Team Challenge Company Highland Games Afternoon. 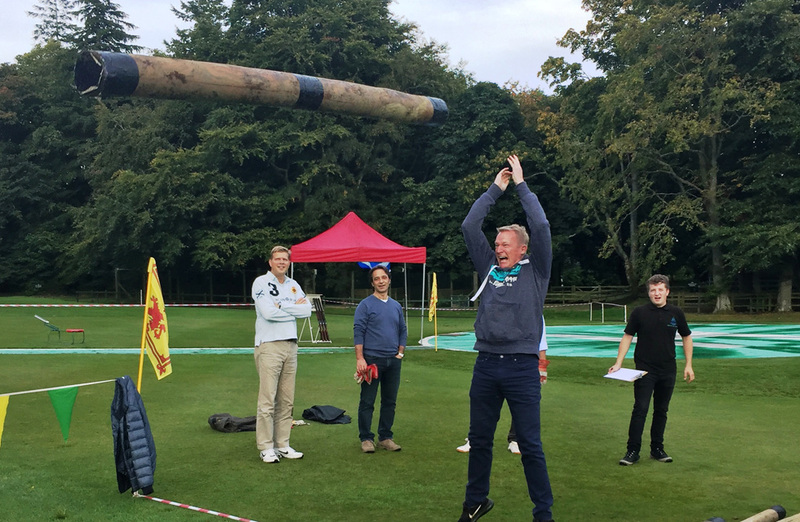 The six teams were raring to go as the activities kicked off with a game of Haggis Hurling, with several of the teams managing to throw the Haggis into the surrounding trees, not quite understanding the aim of the game! 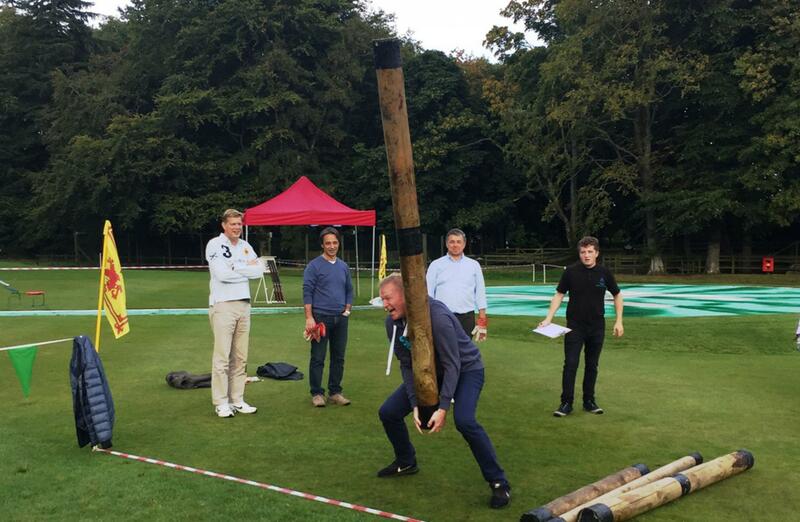 At the same time, the other teams were on Stone Lift showing us all that the true strongmen of the day were Team ‘Hard 2 Beat’ with their remarkable strength and just a little help from their “friends”. 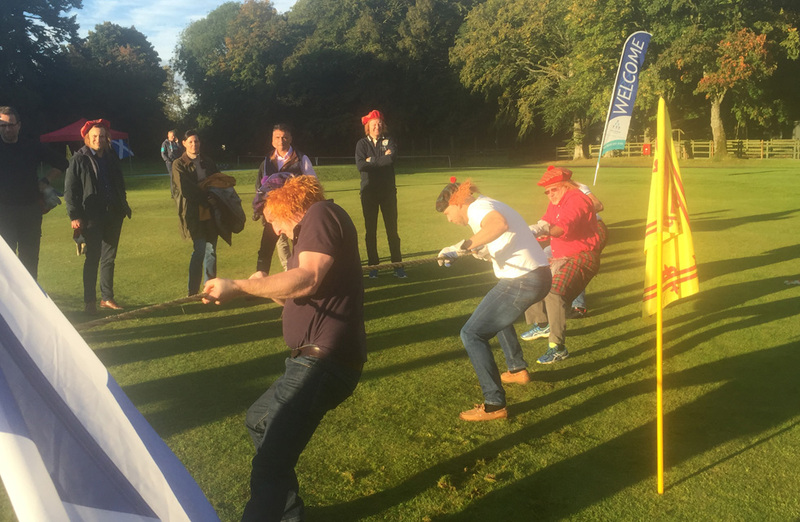 Welly Boot Throwing was also a tough one for some of the teams with some athletes being a bit wide of the mark shall we say! Toss the Caber lead to a win for Team’ 4 Farmers’ with some of the best sporting techniques we have ever seen at the wonderful Gleneagles. 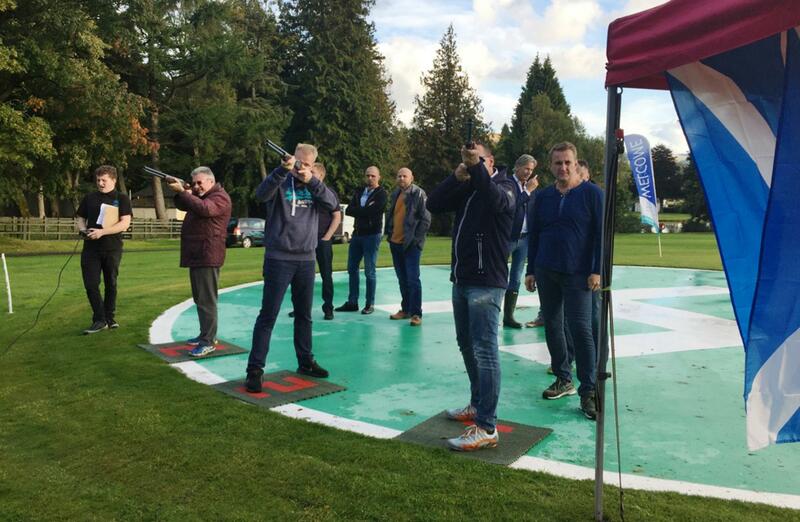 After a quick refreshment break to make the most of the remarkable sunshine, we were off to the fast and furious Laser Clay Pigeon Shooting with our “Hunting” friends in their element... if a little disappointed that there were no live targets. 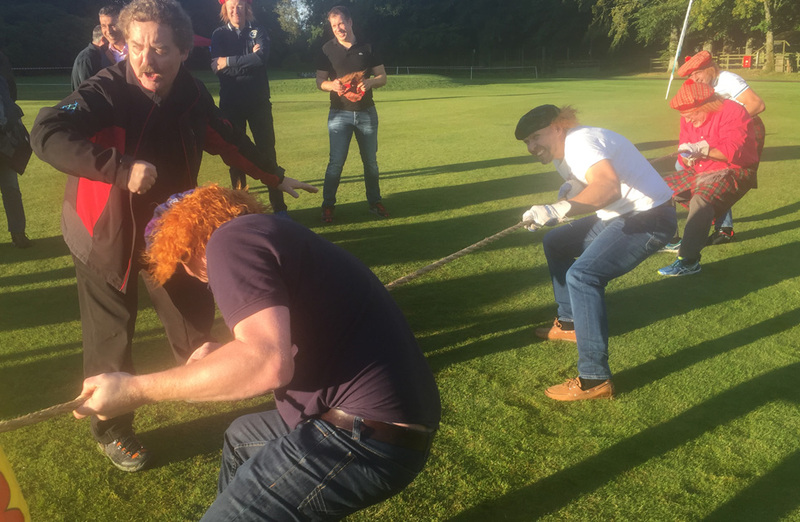 Our wild Tug O' War followed and saw the teams dress up in their kilts and wigs and push and pull for the last chance for a victory. 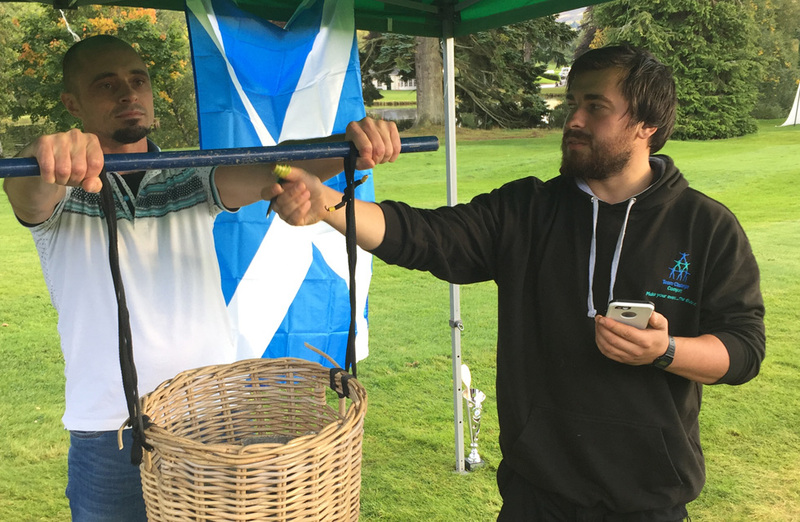 Now for the very important scores on the doors! 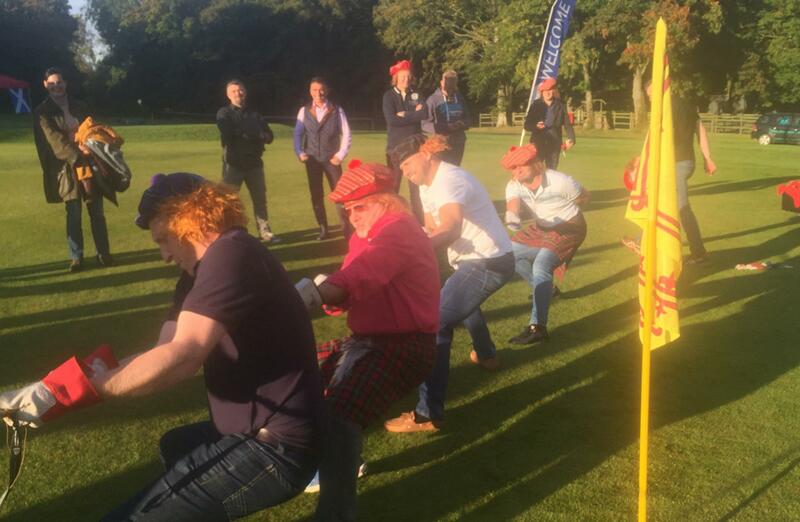 All the teams put in a massive effort and did a very good job at being Scottish Highlanders for the day. 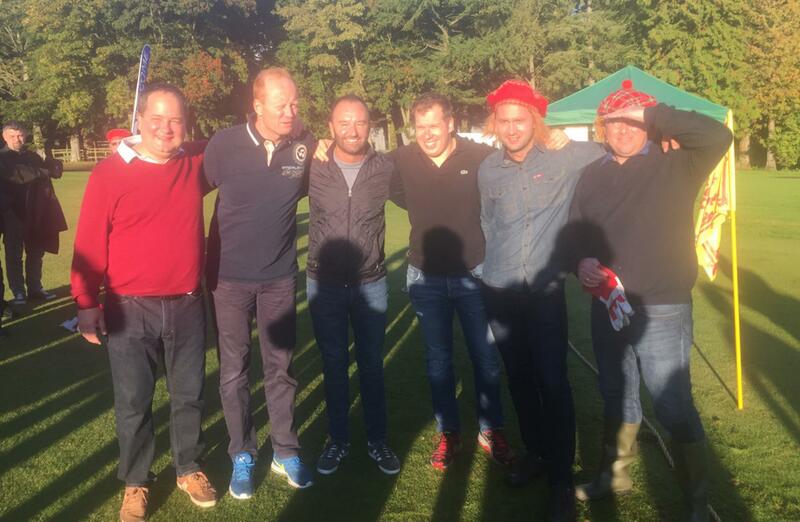 In last place with a respectable 6th and 2400 points and taking home our wooden spoon was the 3 Strokes - bad luck guys! 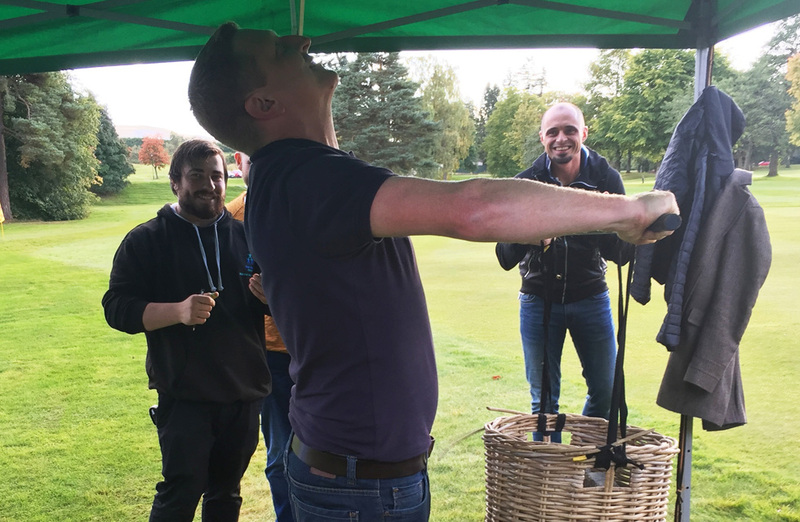 But in first place with a whopping 3800 points and winning our very prestigious Team Challenge Trophy was the Team 'MI5'! 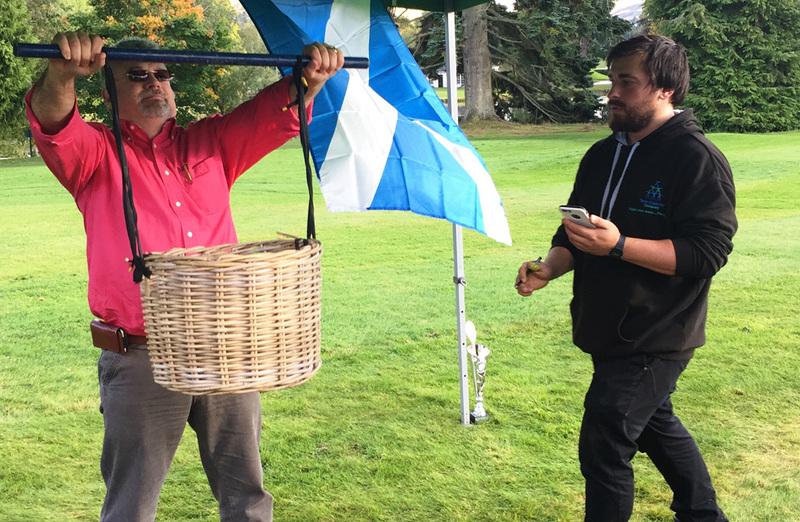 Big shout out to Lisa from the Gleneagles events team for her fantastic work in putting the afternoon together for the group. 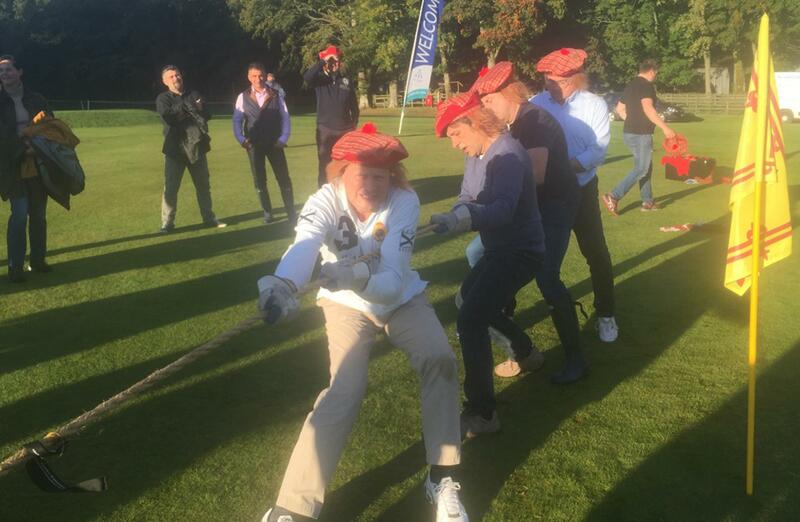 There was so much laughter and hilarity amongst the serious competition, it was a day that will surely not be forgotten, just look at those great photographs! 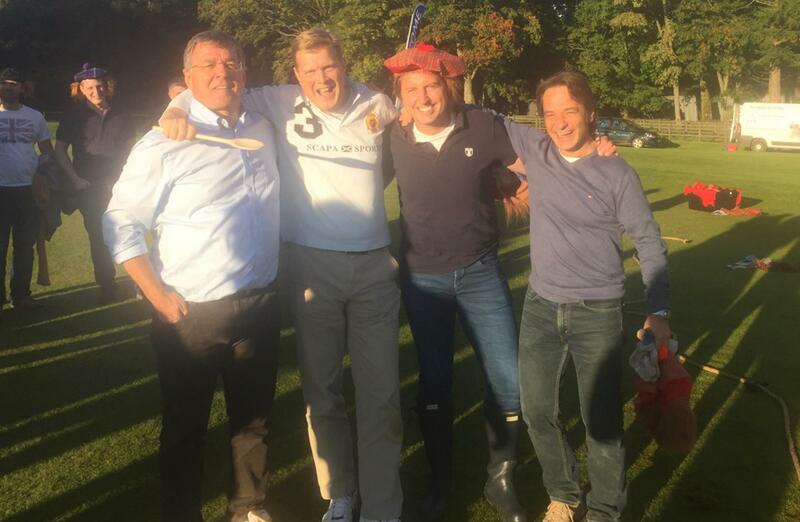 We look forward to working with you again at Gleneagles very soon. 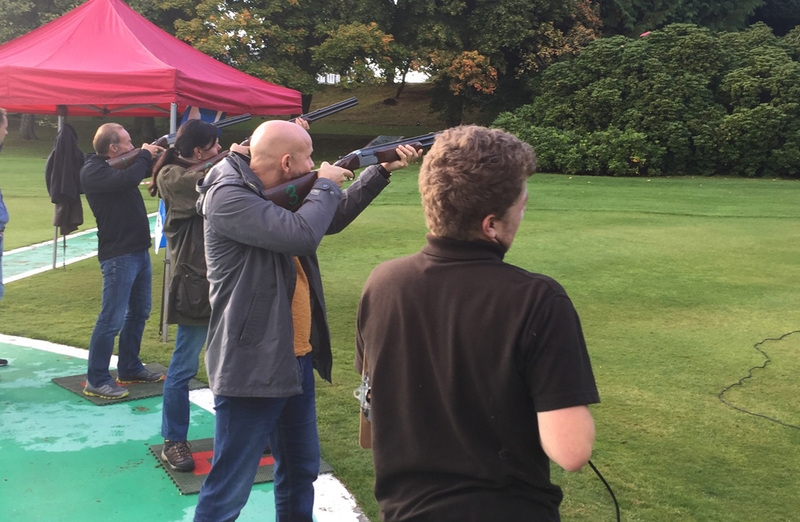 Always a joy to be working with the Gleneagles Hotel and their fabulous guests, and this time was certainly no different. 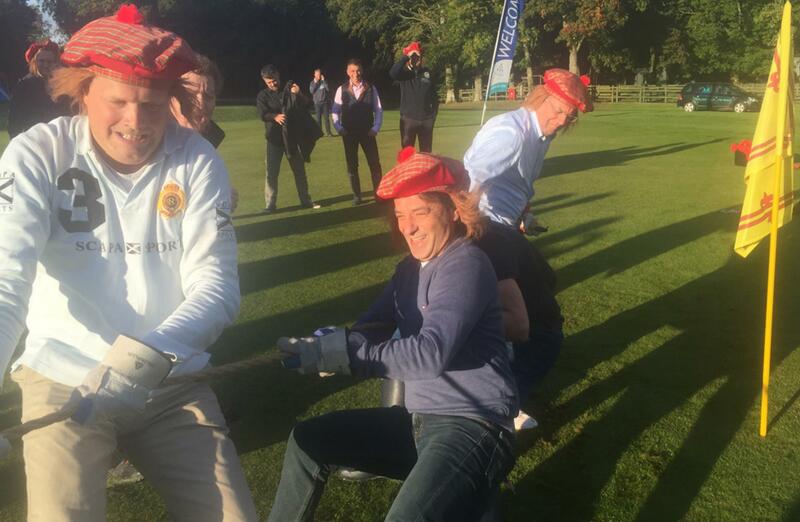 The team from Kramp really through themselves into the fun-filled and competitive spirit of our Highland Games event. 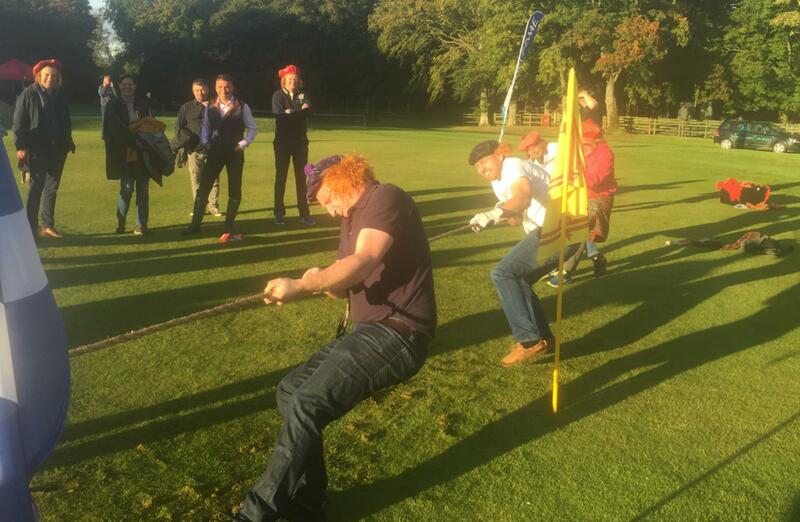 Very much hope all enjoyed a fantastic afternoon, and will hop e to see you all again soon!